After a while, the engine oil in the Toyota Tundra breaks down and stops lubricating engine components. 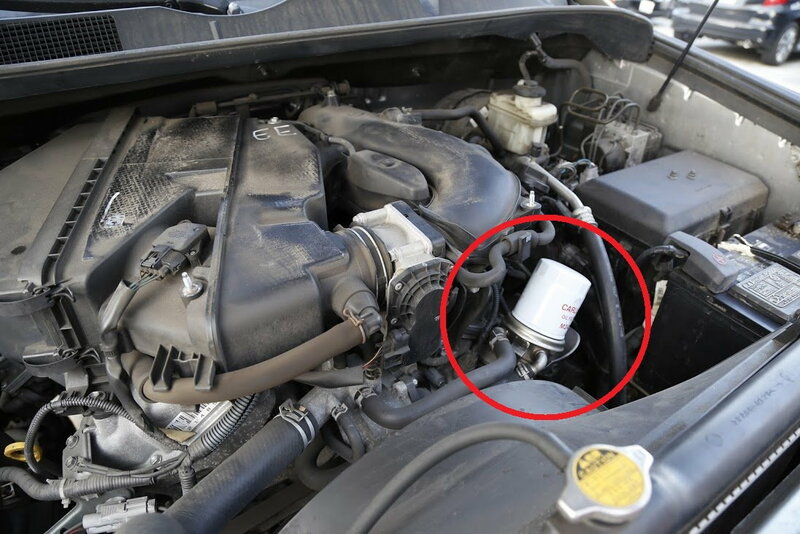 Read on to learn how to replace your engine fluid. 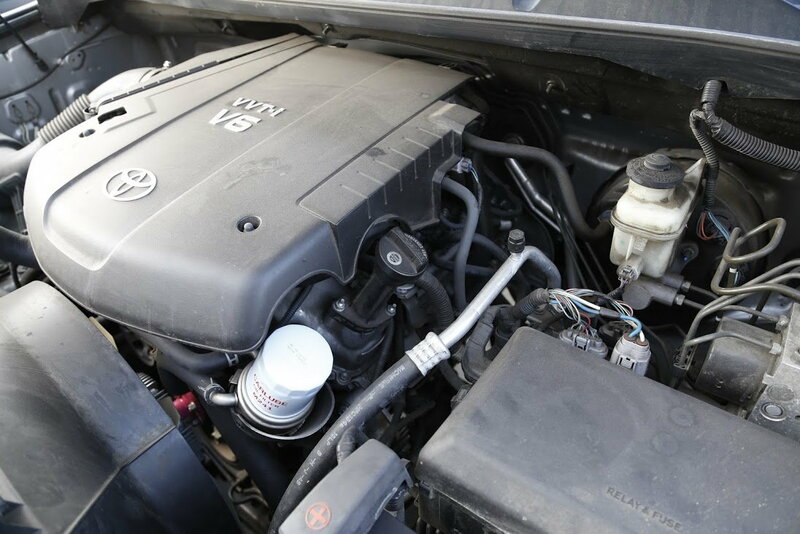 The engine oil is a major part of your Toyota Tundra's engine's safety. It is designed to withstand a lot of heat as it lubricates the internal parts of the engine. Overtime, and after roughly 5,000 miles, the engine oil starts losing its lubricity, as the additives in the oil break down. 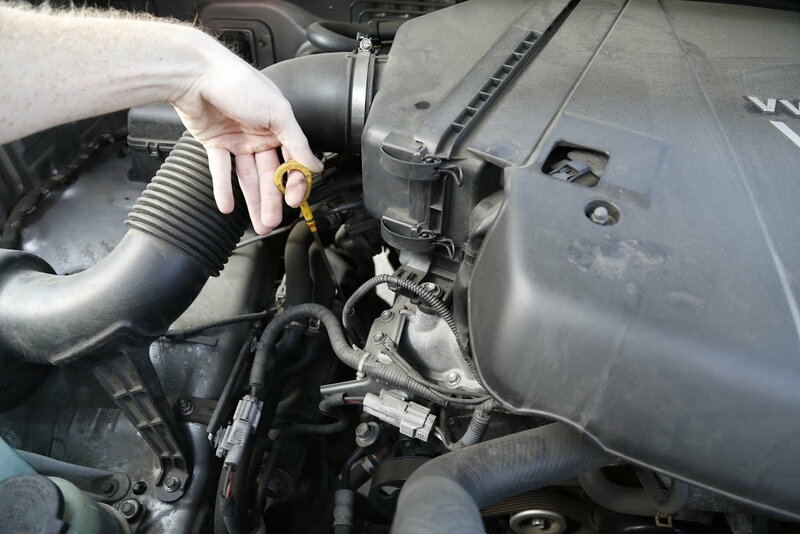 Along with the fluid not lubricating as much, the oil filter gums up and stops doing its job; also dirt starts building up in the engine, which eventually results in the engine seizing up. Changing the engine oil is the most important piece of maintenance you can do for your Toyota Tundra, so roll up your sleeves and start reading. Luckily, the Toyota Tundra is high off the ground, so you don't need to raise it. Open the hood and remove the engine oil fill cap. 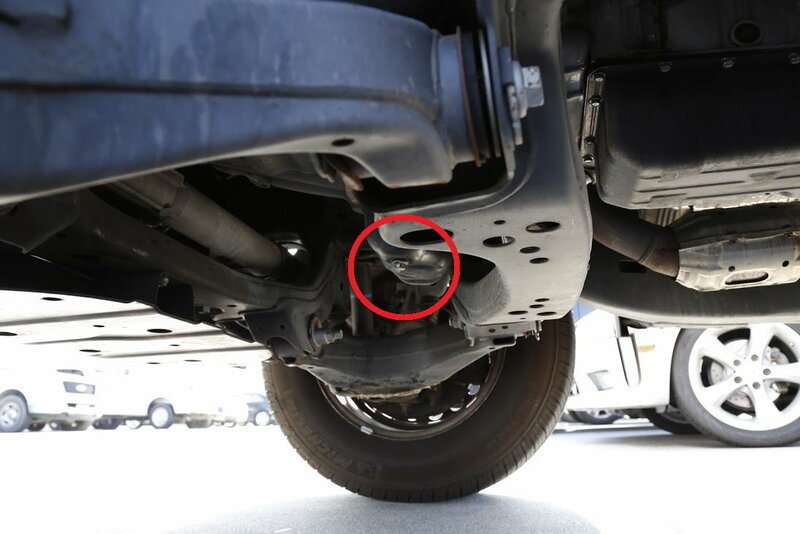 Then slide under the truck, and place the drain pan directly under the engine's drain plug. Loosen the drain plug slowly, then remove it to drain the oil in the engine. Figure 1. Drain engine oil. The oil filter can be replaced from under the hood in the Toyota Tundra. Use your oil filter wrench to remove it, then install the new one in place. Rub some oil on the new filter's gasket so it doesn't dry. Figure 2. Replace oil filter. Be sure the drain plug is tighten in place and then, using a funnel, pour oil into the engine through the filler hole. You will need approximately 7.9 quarts of oil. Pour the oil into the engine, then start the truck for five minutes and finally check the dipstick. Add more if needed. Figure 3. Oil filler cap.